If you have been following the posts in this open notebook, you may know that by now we have managed to create a linear regression model for the Boston Price dataset based on two predictors, namely crime rate and average number of rooms. 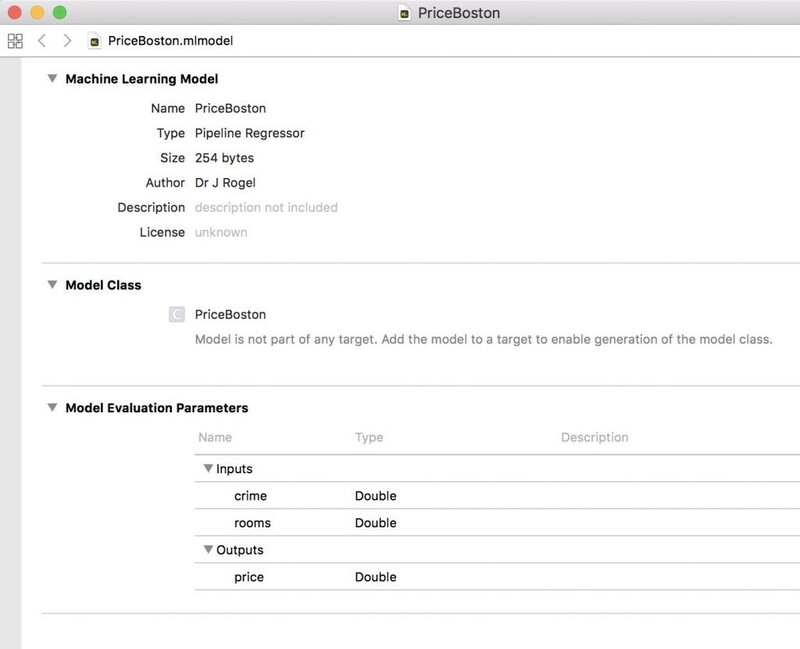 It is by no means the best model out there ad our aim is to explore the creation of a model (in this case with Python) and convert it to a Core ML model that can be deployed in an iOS app. 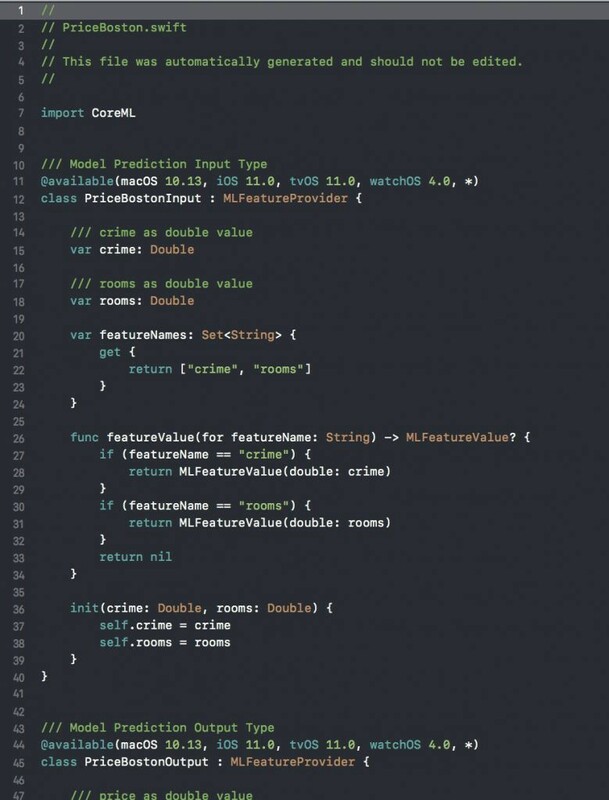 You can see that the code was generated automatically (see the comment at the beginning of the Swift file). The code defines the input variables and feature names, defines a way to extract values out of the input strings, sets up the model output and other bits and pieces such as defining the class for model loading and prediction (not shown). All this is taken care of by Xcode, making it very easy for us to use the model in our app. We will start building that app in the following posts (bear with me, I promise we will get there). Originally published at Quantum Tunnel Website. Physicist... data science, quantum mechanics, ultra-cold matter, nonlinear optics, computational physics... not enough space.